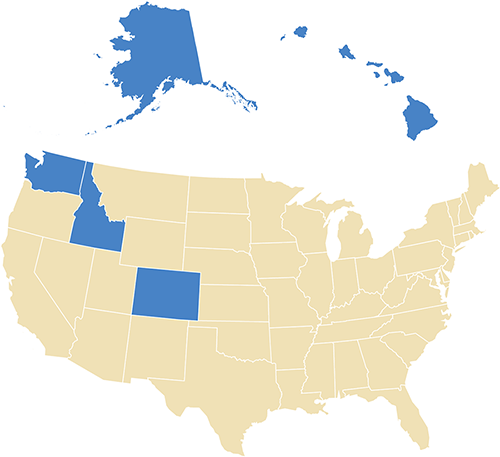 Since 1984, Microcom has been leading the way in satellite communications in Alaska and has expanded its reach to Hawaii, Idaho, and Colorado. Our decades of dedication to customer service and competition have allowed consumers to see the benefits of our work. Our innovative solutions to our customers’ satellite television and broadband needs have resulted in many “firsts” for the satellite industry and have helped shape the landscape of telecommunications in our community and beyond. Microcom sells and installs direct-broadcast satellite systems from DIRECTV and DISH for both residential and commercial uses. We are the largest supplier of satellite reception systems in Alaska and Hawaii, and have been repeatedly recognized and awarded as an innovative and reliable dealer on both local and national levels. Microcom sells and installs satellite data communications systems from leading suppliers HughesNet, Viasat and Velocity. We also offer customized solutions using our own uplink facility in Anchorage, AK. Microcom is happy to announce it is now an AT&T authorized retailer. With the new unlimited wireless plans, you can talk, text and stream as much as you want. Microcom sells and installs top of the line home theater equipment from companies including Polk Audio and Audioquest. We also offer tablets, headphones, smart watches and more. Get all the toys and tools you love at a great price.